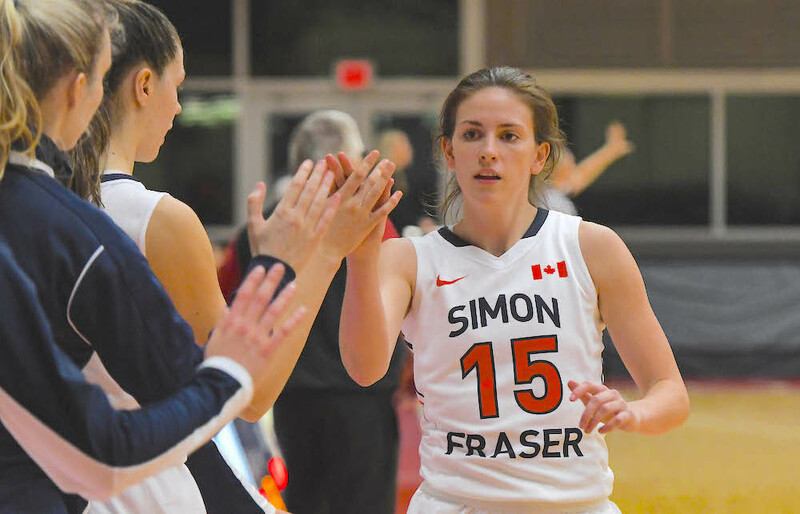 BURNABY — Kendal Sands knew from the start of the season that she wasn’t going to let her minutes be the measure of her true value to the Simon Fraser Clan women’s basketball team. 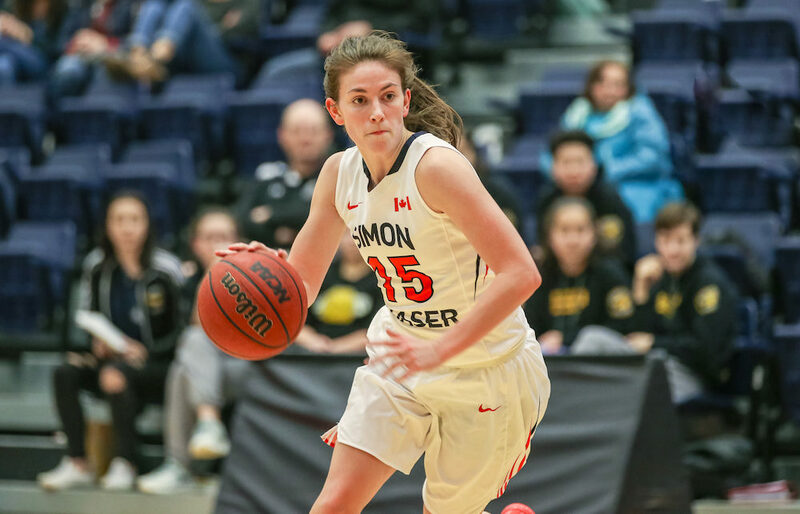 Instead, the magnitude of her impact has been felt through an entirely different kind of metric, one which comes straight from the heart of the sophomore guard from Coquitlam’s Dr. Charles Best Secondary. “I just said that in the minutes I have to play, I want to play the hardest I possibly can, and I want to come off the floor exhausted,” Sands said Wednesday as she and the Clan (5-3) prepared to carry a season-high three-game GNAC win streak into Thursday’s 7:30 p.m. home date against the Central Washington Wildcats (6-2). Minutes, and their availability on a game-to-game basis were certainly a topic of discussion this past off-season as Simon Fraser prepared to bolster its roster number from just seven a season ago back to a more manageable 12 heading into the current campaign. Sands, who was prepared for a potential redshirt campaign when she arrived at SFU a season ago, played so well as a freshman on last season’s numbers-challenged team, however, that she put herself squarely in the mix as a main rotation player heading into this season. Yet with a blue-chip five-player rookie recruiting class also headed up the hill, the writing seemed to be on the wall of team’s own West Gym. And so as the Great Northwest Athletic Conference season hits its midway mark this weekend, it seems clear that Sands has developed into that vital glue player every team covets, the kind ready to provide energy with just a tap on the shoulder. And when is Langford most apt to bring her in off the bench? On the offensive end, Sands’ point production might not be what you would call eye-popping at 7.1 points over 19.9 minutes in conference games as she plays as part of a guard rotation that includes the likes of starters Tayler Drynan and Jessica Jones, and fellow reserves like Emma Kramer, Georgia Swant, Sienna Lenz and Sophie Klassen. Yet if you could get relentless defence, in addition to incredible offensive efficiency over those near-20 minutes-per-game every Thursday and Saturday in the GNAC, you count yourself lucky she’s on your roster. Offensively, Sands is shooting 52 per cent (17-of-33) from the field in the GNAC. She is also No. 1 in the conference in three-point shooting percentage at 64.3 per cent (9-of-14) and she’s shooting 82.4 per cent from the free-throw line (14-of-17). You can argue that the volume of reps is not there, but you can make an even stronger point that producing numbers like that, coming in cold off the bench, is an even tougher task. And while she so often takes jabs at her own artistry as a jump shooter, Sands has finally arrived at a comfortable place with her mechanics. So in the summer before her freshman year, Sands hired a shooting coach, Ben Dowell, to heal and re-vitalize her process. The one place Sands doesn’t need a guru, however, is on the defensive end. There, she just relies on her own basketball DNA to guide her. It’s also been her in-game compass. Langford admits that his first impression of Sands, from back in her high school days, was how much grit she played with. Yet as hard as she has pushed herself over her first two seasons in the NCAA, don’t think for a second that Kendal Sands isn’t having the time of her life. “We are all on the same page, we’re all so supportive of each other,” she says of her teammates, “and honestly, I’m not lying, I am seriously having the best time I’ve ever had on a team. “It’s been exciting to play with the minutes I’ve had, and I have been happily surprised,” she continues. “And if, say, Georgia and Emma are having great games and they’re what we need to win that day, I am happy with it. CLAN NOTES — On Saturday (7:30 p.m.), Simon Fraser plays host to NCAA Div. 2’s No. 1-ranked team as Northwest Nazarene (8-0) provides the opposition. Heading into this Thursday’s game at Western Washington, the Nighthawks had won 16 straight games overall… SFU, after sweeping St. Martin’s and Seattle Pacific on the road last week, were named the GNAC’s Team of the Week. 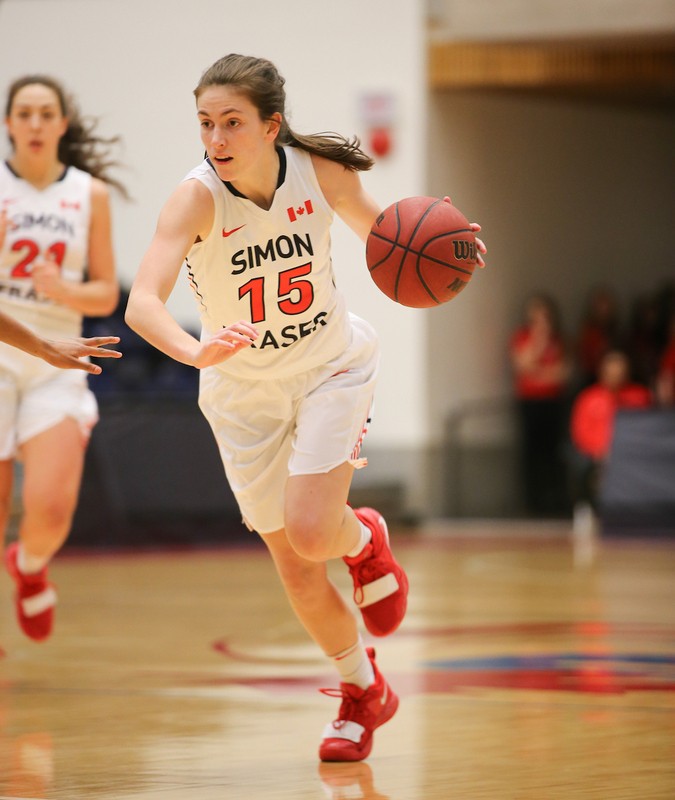 Drynan played her best basketball the season, averaging 16.5 points and 4.5 assists over the two wins… Senior forward Sophie Swant leads the team in conference scoring at 15.3 ppg, while Jones is second at 10.0 ppg… The SFU men’s teams shares the bill with the women’s team this weekend. Coming off its 112-107 triple-overtime win over Montana State Billings, head coach Steve Hanson’s team tips off against Alaska Anchorage on Thursday (5:15 p.m.) and then faces Alaska Fairbanks on Saturday (7:30 p.m.).